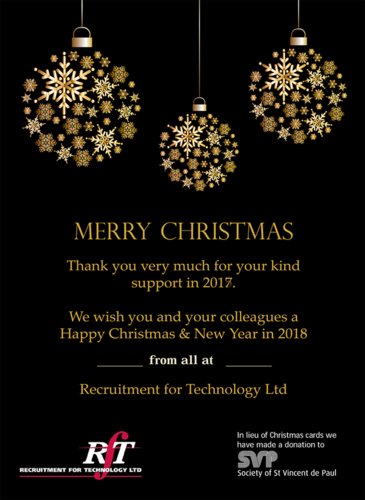 We wish you and your colleagues a Happy Christmas & New Year in 2017. The RFT Group we take pride in telling our customers of the fact that will not be sending them Cards! We chose instead to make a donation to our adopted charity The Society for St. Vincent’s De Paul. Gerry, Larry, John, Laurentina and Gavin.